Spying will be part of a comprehensive review of national security, says Esala Teleni, the country’s chairman of the Defence Review Committee. Mr Teleni, entrusted by the Prime Minister Voreqe Bainimarama to head the review, said “spying was an old game”. 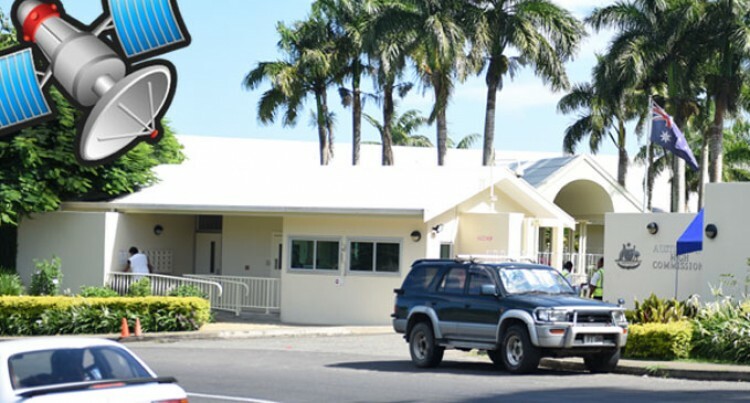 He was commenting on revelation that New Zealand and Australia had conducted sophisticated electronic surveillance operations to gather intelligence on Fiji and other regional countries. It confirmed a worst kept secret that the two countries were spying on us. Last year, a diplomatic spat broke out between Australia and Indonesia, after Australia was accused of eavesdropping on the personal phone calls of the former Indonesian President and his wife. Australia is still recovering from that row. Mr Teleni admitted there were “gaps” in the Fijian system that needed to be addressed. One was linked to the kerfuffle over leaked documents about the spying. The Sydney Morning Herald said Australian and New Zealand spies were targeting Indonesia’s largest mobile phone network as well as the telecommunications systems of Australia’s small Pacific island neighbours, according to the leaked documents. The documents were obtained from the former US intelligence contractor Edward Snowden, a fugitive whistleblower. According to the leaked documents published in New Zealand yesterday, the Australia’s top-secret electronic espionage agency, the Australian Signals Directorate, has been working intimately with its NZ counterpart, the Government Communications Security Bureau to obtain comprehensive access to telecommunication networks across Indonesia and the South Pacific. The documents show that the ASD and GCSB spy intensively on small and vulnerable Pacific island countries, harvesting communications from Fiji, Papua New Guinea, the Solomon Islands, Nauru, Samoa, Vanuatu, Kiribati, New Caledonia, Tonga and French Polynesia. The Opposition Leader, Ro Teimumu Kepa, said she could not comment because she had not seen the full report. Police Commissioner Bernardus Groenewald said last night he was aware of the report but he had not been briefed by his officers. The leaked documents say the Australian and NZ signals intelligence agencies intercept satellite communications and under-sea telecommunications cables, and share the “full take” of telephone calls, emails, social media messages and associated metadata with each other as well as their “5-eyes” partners, the US National Security Agency and the British Government Security Communications Headquarters. A leaked top-secret NZ report confirms the ASD’s deep interest in Indonesia’s largest mobile phone network, Telkomsel, which serves more than 122 million subscribers. A NZ intelligence officer working on exchange in Canberra in 2009 was placed in ASD’s “network infrastructure analysis section” where he was given “specific … tasks regarding Indonesian cellular telecommunications provider Telkomsel” including “investigating Call Data records being sent over FTP” [file transfer protocol – a standard network protocol used to transfer files from computer host to another], and researching Telkomsel’s voice compression gateways used to support transmission of long-distance international and domestic telephone traffic. Another 2012 US NSA document published last year revealed that the ASD stole nearly 1.8 million encrypted master keys, which are used to protect private communications, from the Telkomsel network, and developed a way to decrypt almost all of them. The ASD has also accessed bulk call data from Indosat, Indonesia’s domestic satellite telecommunications provider, including data on Indonesian officials in various government ministries. The top-secret NZ documents also reveals details of co-operation between Australia and NZ to access to the South Pacific mobile phone networks, including in the Solomon Islands, where the two countries intelligence agencies “worked closely … to retain situational awareness as the Solomon Telekom network has expanded and evolved”. The ASD and GCSB personnel intercepted mobile phone calls from a signals intelligence collection facility near Honiara, codenamed CAPRICA and probably located at Camp RAMSI, the headquarters of the Regional Assistance Mission to the Solomon Islands. With a view to expanding coverage of Solomon Telekom’s network, the ASD and GSCB also conducted a radio frequency survey, codenamed PREBOIL, at the Australian Federal Police facility at the Guadalcanal Beach Resort near Henderson Airport, some 16 kilometres from Honiara. Fiji is another Australian intelligence priority revealed in the leaked documents, with the GCSB reporting that it had assisted the ASD’s military support unit to conduct a “target systems analysis” on the command, control and communications of the Fiji government, military and police. The Australian government has repeatedly refused to comment on specific disclosures from the papers leaked by Snowden. However last year Prime Minister Tony Abbott insisted that Australia would not use intelligence “to the detriment of other countries”. Mr Pohiva said in Nuku’alofa: “But it is happening all over the world. Tonga is too small to stand up to the ‘alleged spying’,” he said through an official. It is understood that the increasing influence of China in the region has led to increased surveillance by New Zealand and Australia on behalf of the United States. India and Indonesia have also increased their presence in the region. New Zealand journalist Nicky Hager said New Zealand had sold out its Pacific neighbours to secure its membership of the Five-Eyes intelligence network of the United States, Britain, Australia, New Zealand and Canada. The documents’ content has created a political storm in New Zealand. Prime Minister John Key yesterday said the Government does gather information from other countries, in order to keep New Zealanders safe, but he would not confirm whether Pacific nations were being spied on.